In the “Andreas Vesalius 500 Birthday Symposium” entitled “Anatomy, Art and the Body”, that took place in Copenhagen, at 18th of September 2014, numerous distinguished Vesalius scholars gave fascinating talks about the Life and Death of the great Flemish physician and artist, Andreas Vesalius. The Symposium was organized by Prof. Ron Kupers (BRAINlab) & Prof. Maurice Ptito (BRAINlab), under the Auspices of the Belgian Embassy. Andreas Vesalius did not travel to the Jerusalem under pressure of the Inquisition, neither as penance norescape: he went there as a devout pilgrim with the support of his employer. Upon his return, he did not die ona deserted beach in the Ionian Sea, the only victim of a shipwreck. Weakened by his stay in the Holy Land andby an unfortunate return journey, he died in 1564 in Zakynthos, Greece, and was buried there in the SantaMaria delle Grazie Church, now destroyed by earthquakes.Such a demise -can it be more tragic?- contrasts heavily with the most prodigious life he led. As anoutstanding physician, he knew exactly that in his last moments his organs were failing, one after the other. Asa high society nobleman he had imagined his death less lonely and as a world famous researcher andprominent scientific and didactic author he had pictured his last resting place not in a far-off Venetian colony,let alone that his grave would be lost after a few years. And yet, many fairy tales make us believe until todaythat it was worse.What began as a poetic quest for his lost grave, did not only evolve into an ongoing search for his last restingplace by scientists and archaeologists, with the advice and support of the éminences grises of VesaliusResearch, Omer Steeno, Maurice Biesbrouck and Theodoor Goddeeris, the quest has turned into a crusade against persistent inaccuracies and stubborn assumptions in Vesalius’s biography. 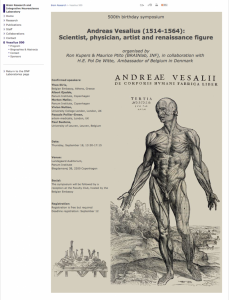 Read the whole article “Andreas Vesalius Brussels 1514 – Zakynthos 1564: a prodigious life, a tragic demise” of Theo Dirix, HERE. 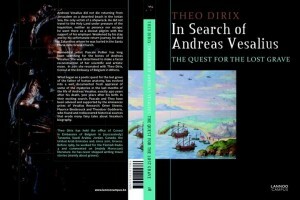 In the same context, Theo Dirix, has also published recently a book entitled “In Search of Andreas Vesalius – The Quest for the Lost Grave”. 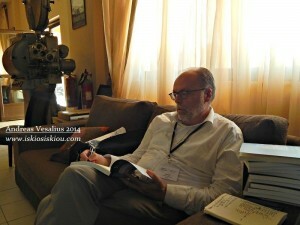 Using numerous historical facts of the past, evidence of the present, personal communications with distinguished Greek and Belgian Vesalius scholars, diplomats, academians, historians, medical artists and poets travels the reader to a fascinating journey towards the quest for the lost grave of a legendary man, maintaining his spirit alive forever.